Hello Beauties! I hope you're all well. I've been getting stuck into my Dissertation recently (thank you to all of you who completed my survey!) 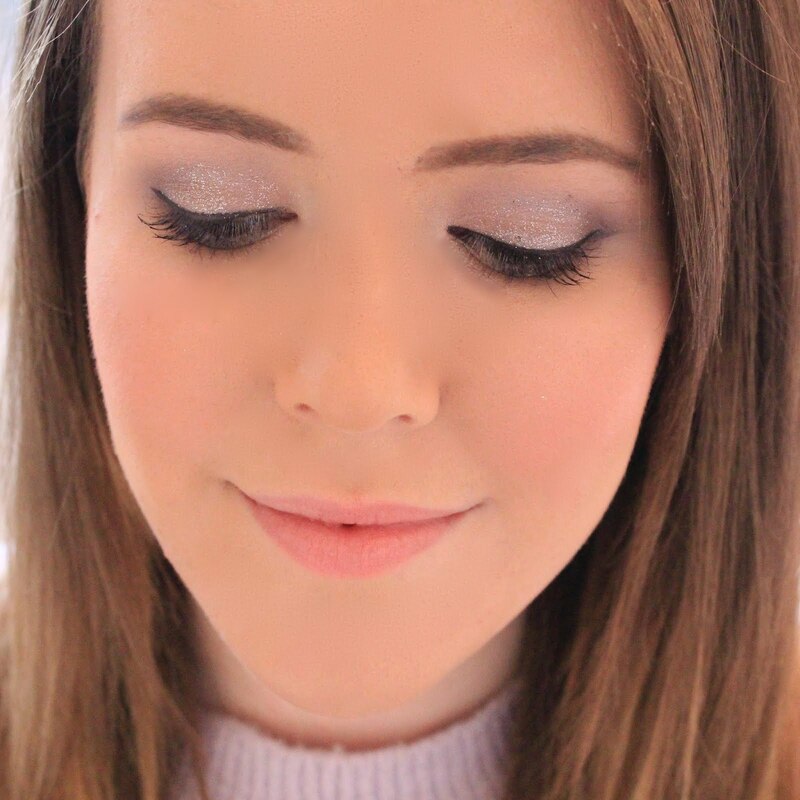 so I haven't really had the chance to test out too many new products, or a chance to sit down and blog properly. However, today I thought I would give myself a little break from it all and get back to blogging, and specifically to talking about this perfume from Avon. I've never tried any Avon products before, mainly due to the fact that where I live we don't have an Avon representative, however on a recent trip to the Avon head offices I was given this perfume as a little thank you for coming gift so I thought I would pop up a review. Firstly, let's talk about the packaging. 'Luck' comes in this pretty little golf bottle with the cutest bow on the lid. Personally I think the packaging of this perfume makes it look a lot more expensive than it is, and I now have it sitting on my vanity with 'Daisy' by Marc Jacobs, as I thought the packaging was daily similar, in colour and design. I also like the fact that, also like Daisy, the writing and logo, etc is fairly small, as I sometimes find logos on perfume bottles can look a bit tacky when plastered all over the bottle. Moving on to, the most important aspect of a fragrance, the smell. 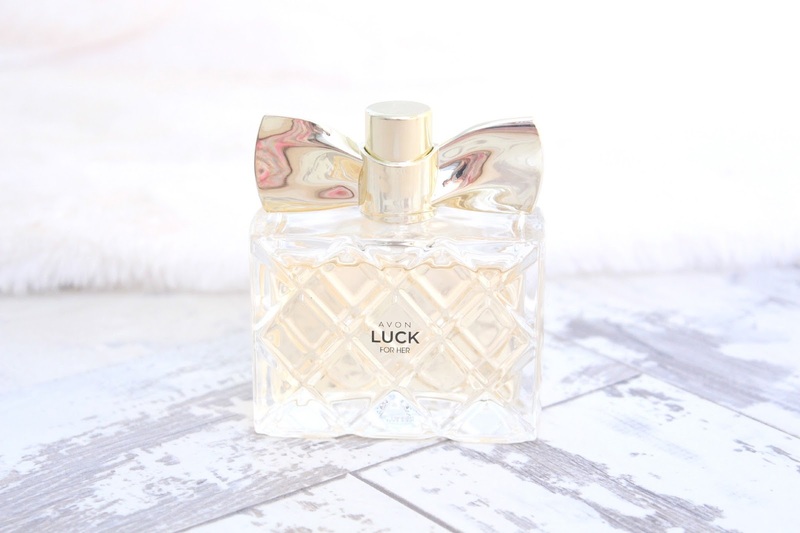 'Luck' is quite a sweet smelling presume, almost sickly sweet, and to tell the truth it's a little on the sweet side for me, however if you like sweet perfumes such as the Viva La Juicy by Juicy Couture or Lady Million then this may be right up your street. 'Luck' is also quite a strongly scented fragrance so a little splash on your neck and wrists will be enough, and the scent really does last all day. When I put this on in the morning I find that I'm still catching whiffs of it at the end of the day, which is something I really look for in a fragrance as I'm so useless at re-applying it! 'Luck' is currently available either from the Avon website or through your local Avon representative, and costs a mere £15 for 50ml which I think is a complete bargain. I think it's great that the logo is small and subtle. It definitely makes the bottle look classy!